After a short break the artist feature is back! Today we will be delving into the world of J-electro, to take a look at a singer who was very overlooked during her career: immi. If you’ve been hungry for some slick electropop tunes, or just wanting to try something new look no further. Let’s learn about immi! Before immi there was Mayu Nakazawa, immi’s real name and the name she originally made her debut under. In 2001 Mayu secured a major record label deal with Universal Music Japan, and released her debut single Hoka no Daredemo Nai Anata wa on November 11th, 2001. The soothing track is a far cry from what she would eventually become as immi, opting for a more laid-back “singer-songwriter” style. Unfortunately the single did not chart on oricon. A follow-up single titled Changes was released on February 22nd, 2002 where Mayu decided to try her hand at a bossa-nova track. Changes was met with similar success to her debut at did not chart. Third time wasn’t a charm for her next single I Wanna Let You Know ~Ai no Michijun~ which also did not chart. Mayu’s final single was a double a-side titled FUNKY FLUSHIN’ / NOT ONE OF US, her debut studio album STEP INTO MY HEART was released on November 27th, 2002 almost exactly one year after making her debut. Neither of those releases charted either and shortly after the release of STEP INTO MY HEART she was dropped by Universal. After a four year hiatus Mayu reappeared under the indie label GRAND FUNK and released the single jellyfish on August 1st, 2006. This release officially marks the start of immi as an electropop artist, the style she would continue to do throughout her career. After the release of jellyfish Mayu went quiet again, finally reappearing one year later under her new stage name immi. Her first release under the new moniker was Cosmic Pink, her first digital single. One of the b-sides from the single, Local train, was selected to be in a Cancon camera commercial campaign helping establish immi as an artist and spread her name to both the Japanese industry and public. After releasing a third digital single, Klaxon, immi released her acclaimed debut album Switch. Produced by N.A.i.D and JETBIKINI, Switch features new album versions of Cosmic Pink and Klaxon, a cover of The Cure’s hit Lovesong, as well as a collaboration with Shigeo from THE SAMOS. The following year in 2009 immi released RimmiX, her first remix album which also included a couple new original songs. This would be her last release under GRAND FUNK records, shortly after the release of RimmiX she transferred DefSTAR Records, a subsidiary of Sony. Under DefStar immi released two EPs in the later half of 2009, WONDER and Alice. Both of those albums featured unique interpretations English songs. Joe le Taxi by Vanessa Paradis and Fell in Love With a Girl by The White Stripes. Her first, and only physical single Sign of Love came out in May 2010. The title track served as the theme for the anime House of Five Leaves (Sarai-ya Goyo). One month later her second studio album, and first major label album Spiral was released. With Spiral immi became much more bold with her music, while still keeping the signature sound that made Switch such a great album. Spiral also actually charted on Oricon!! 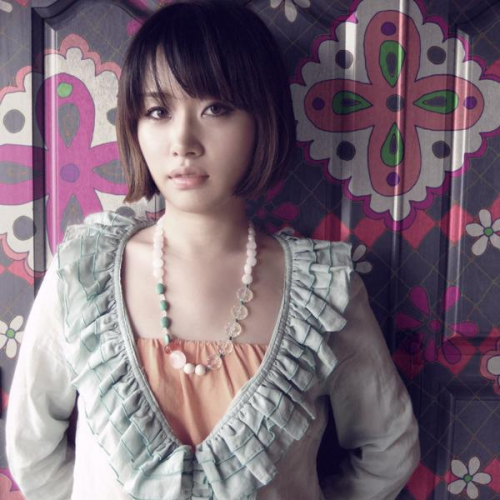 immi finished off 2010 by appearing in a track on THE LOWBROWs 3rd studio album Emotion. immi started the next chapter of her career by forming a duo with her long time collaborator JETBIKINI called Tacomimi. The only release their work was included on was featured on immi’s second remix album RimmiX 2 -CM & Tacomimi-. The album was only sold at a special event held on November 26th, 2011. Besides the two Tacomimi songs the rest of the album included five original songs, two of them being featured in CM campaigns. Some of JETBIKINI’s music can still be heard on their official MySpace page. After the release of RimmiX 2 -CM & Tacomimi- immi went quiet again. She continued to create and produce music for various CM campaigns, but unfortunately none of them saw a commercial release. In 2013 she gave birth to a baby girl named Coco, and in 2015 gave birth to a boy. Its assumed that her husband is a non-celebrity and it’s unknown when their marriage took place. 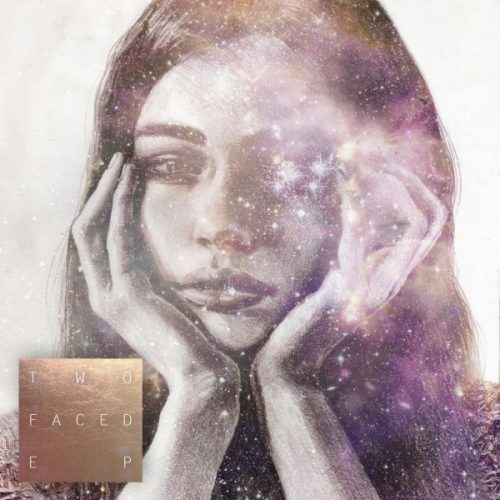 After all hope was thought to be lost in November 2015 immi finally released new material, a collaborative EP with DJ/producer A-bee titled Two Faced. The ethereal tracks perfectly melded immi and A-bee’s different styles definitely making the wait worth it. She would continue to work with A-bee following into 2016 appearing on two tracks on his latest self-titled album. Since the release of the album in June, she seems to have went into hiding again. immi made her debut during a very special time in the J-electro world, at least for oversea fans. Yasutaka Nakata made his mark with them thanks to the breakout success of Perfume, his own group CAPSULE, and collaborations with Ami Suzuki and MEG among others. 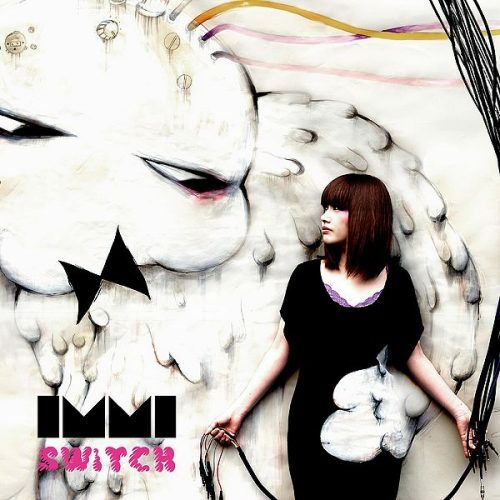 This exposed the genere to an entirely new international audience and left many people hungry for all things J-electro, with immi serving as one of the many great alternatives to Nakata’s works. Her music is influenced by a vast array of electronic artists, but for a time she seemed to favor Goldfrapp and Chemical Brothers, the inspirations are quite evident especially in Switch. immi’s voice is also pretty distinct, and it’s worth noting that she can hold a tune…at least for J-electro standards. immi doesn’t have a very large discography so getting into her is quite easy. After going through her ‘main’ releases it’s worth checking out her EPs and remix album for the tracks that never made it on a studio album. immi’s second album is filled to the brim with infectious catchy music. She covers quite a bit of ground with this album, you have commercially friendly softer songs like Sign of love which transitions into the bizarre Swimmer, which then leads to the chaotic club banger Jeezy Peezy. On paper that sounds a little hectic but not once does the album lose it’s sense of direction or seem muddled. Overall the tone of Switch is slightly more mellow than Spiral, but the catchy and well produced songs remain the same. These two albums are must listens for anyone that has an interest in J-electro. For immi’s “comeback” EP we get the best of both worlds. The first track Moon Lie is very similar to her collaborator A-bee’s typical works, while the second track Too High is more similar to what she usually does.